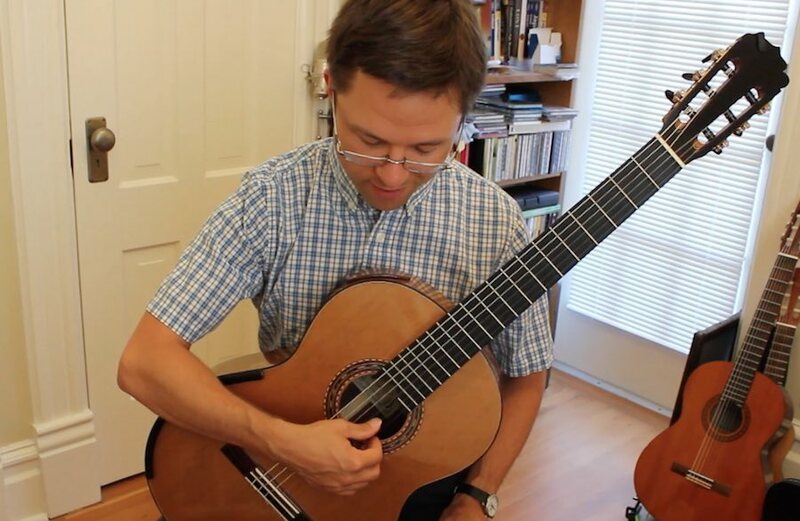 This is a new beginner video lesson for my ebook: 20 Favorite Exercises for Classical Guitar – For beginner to intermediate classical guitarists (Includes: notation, TAB, fingerings, practice tips). I’ve been meaning to re-record some of these with better video. This exercise, No. 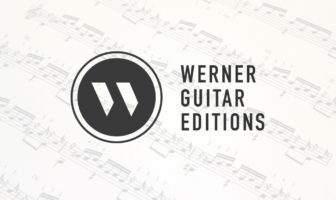 5 – Basic Tremolo on Open Strings, aims to expose the beginner player to what is required of tremolo technique. I walk through the exercise and then give a few tips. I also give a brief explanation sequential planting and possible corrections. The two books I mention in the video can be purchased from Amazon: Kitharologus: The Path to Virtuosity by Ricardo Iznaola and Pumping Nylon by Scott Tennant. 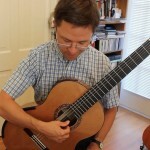 The Iznaola is a very comprehensive book but difficult, the Tennant is great for intermediate player workout sessions. I recommend Tennants first to get things going and Iznaola for a more long-term study. There seems to be a lot of videos for either slow beginner exercises for tremolo or tremolo played perfectly. What seems to be missing are intermediate exercises at gradually faster speeds. This would be useful for two reasons. First, as a play along exercise for us student to mimic in order to get a more even tremolo. Second, so we can hear the progression from discrete notes to a tremolo effect as the speed picks up. Great book for that is Pumping Nylon for fixing lopsided tremolos or for a more intense workout, Iznaola’s book. You can look inside the books via the below amazon links.